The mayoral candidate no longer is the leader in the Keystone Poll, down 9 points. Chaka Fattah is the last major candidate to start TV ads. With the most recent Keystone Poll showing his lead in the mayor's race melting away, U.S. Rep. Chaka Fattah will launch television advertising this week, campaign aides said yesterday. He is the last of the major candidates in the Democratic primary to go on the air. Fattah plans to debut "Transform," a 30-second spot that highlights his family history of fighting gang violence and his career as a legislator, on Tuesday. The campaign has purchased an estimated $250,000 to $300,000 worth of air time for the piece, according to political sources who track such spending. "We've had a detailed plan in place for months, and we are following it as planned," said Rebecca Kirszner, a senior adviser to the Fattah campaign. She said the Keystone Poll did not cause the campaign to pull the trigger. Since Jan. 8, Fattah has presented a new policy proposal every week, counting on news coverage of his ideas and the quiet work of building a voter-turnout organization while others advertised. The move to advertise comes after last Thursday's survey found that support for Fattah, the front-runner in a variety of opinion surveys for more than a year, had declined 9 percentage points since January. Fattah was the choice of 17 percent of registered Democrats in the Keystone Poll, putting him in a virtual tie for second place with U.S. Rep. Bob Brady, who has been advertising steadily for about six weeks, and registered 16 percent support. The leader: millionaire insurance executive Tom Knox, who has spent about $4.9 million on television time since December. He had 24 percent. The survey had a margin of error of plus or minus 5 percentage points. It found that 20 percent were undecided. Fattah's ad highlights his advocacy as a state legislator for tearing down high-rise public housing, and his sponsorship in Congress of programs such as GEAR-UP that help prepare more children for college. It also illustrates "Groceries for Guns," a Fattah program that has removed 604 guns from the streets by giving people food vouchers in exchange for firearms, and his "opportunity agenda" to improve early-childhood education and fund other social programs by leasing Philadelphia International Airport. G. Terry Madonna, director of the Keystone Poll and a professor at Franklin & Marshall College, said Fattah was "squeezed" because he had not been on television. 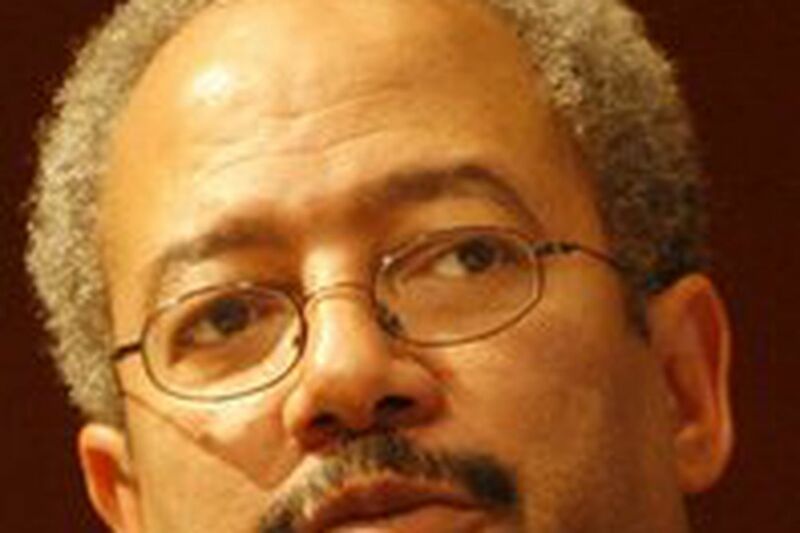 Moreover, Fattah has struggled to raise money. A campaign finance report filed last week showed Fattah had just $600,000 on hand, which aides at the time said would pay for at most two weeks of television ads at a big enough volume to make a difference. Philadelphia is the fourth-most expensive media market in the United States. "We remain confident in our strategy," Kirszner said. "We feel that these ads, in conjunction with our field plan and Fattah's message of opportunity, will lead to victory on May 15."